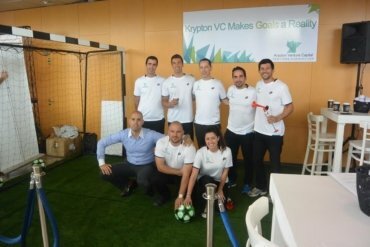 On May 10, 2015, Krypton Venture Capital brought its star players to an auditorium on the campus of Tel Aviv University and defined how it would turn goals to a realty. Subsequently, more tangible goal posts were erected, soccer balls were put into place and the startup games commenced. People from all sectors of the tech world began to filter into the halls that were decked with logos of startups and various institutions from Israel and abroad. The vibe was buzzing as the pitches began at the TLV Startup Challenge on the upper level. Some companies were so early stage they were still in the dream phase, and others had managed to raise a few million in funding. Regardless of status, everyone came to play hard ball. Oren Siminian, founder of StarTAU, and Elena Donets, StarTAU’s CEO, organized a flawless event. 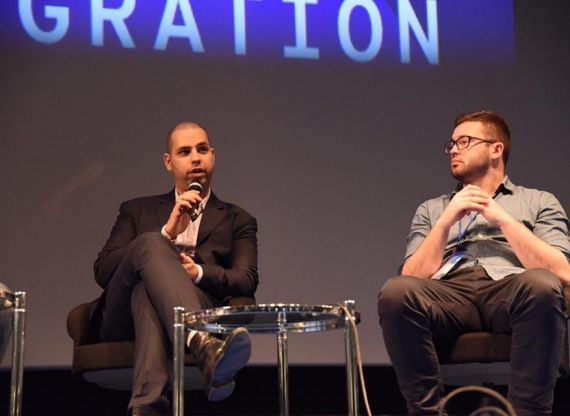 Not only did everything flow without a hitch, but it was one of the most innovative and engaging conferences Tel Aviv has ever seen. Whether it was the drinks and food outside the event hall, or the GetTaxis waiting for their judges and entrepreneurs to enter and pitch on camera, this was not a regular startup convention. The speakers lined for after the main convention were equally distinguished and included the likes of Haley van Dyck, Senior Tech Expert at the White House. Needless to say, the caliber of professionals that were attracted to the event were in no small part a result of Oren and Elena’s hard work. Moshe Sarfaty, Krypton’s fund manager and co-founder, was chosen to judge four startups for quick pitches in the GetTaxi. Everything was filmed. 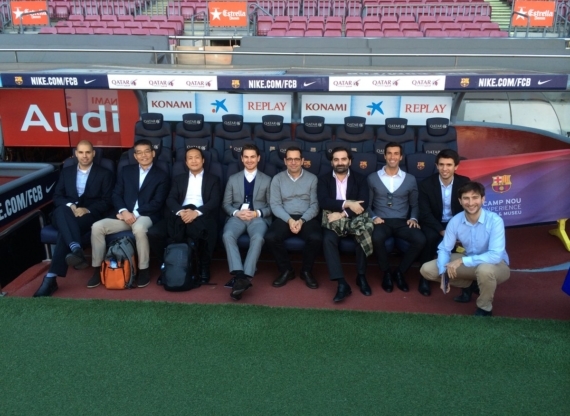 There were startups from Belgium, China, Israel and America, all trying to penetrate different markets. However, what brought them all to the same level was their exit from the taxi. Sarfaty asked each one to honk the horn as they would in their native country. Pitches grabbed Krypton’s attention, but the grand finale certainly caught the eye of everyone else. StarTAU Innovation Day 2015 was a huge success for participants, organizers and investors alike. Tel Aviv University has proven to be a valuable hub for the highest quality intellect and talent that the Startup Nation prides itself to be made of. It is safe to say that Innovation Day will be remembered for being the most important event of 2015 for the startup ecosystem.